Is your relationship stuck, repeating the same old patterns? Do you feel like you and your loved one can’t see eye-to-eye or do you often feel like you are communicating but the message is left unheard? We understand that even those with great intentions for their relationships can get lost in the drama of everyday life, which can lead to barriers in communication, bickering and misunderstandings. ​Starting in childhood our life experiences, whether good or bad, teaches us how to love. Repeating the same ineffective patterns in their relationships, people usually have no clue they have options and continue to utilize familiar problem solving, but it doesn’t work. You see what happens is each person’s childhood experience program the roots of who they are (kind of like a programmed computer), dictating how to respond to incoming information. In other words, we tend to respond the way we were programmed as children and it can limit our perspectives on the actual problem. Without change of some kind, you may be experiencing a frustrating cyclical effect. We can help facilitate a safe, nonjudgmental environment conducive to the changes your relationship needs. Therapeutic sessions focus on your personal goals, needs, and wants, and equipping your relationship with specific tools needed to break down barriers to communication long after the meeting has ended. No, this is not always easy work but it is effective! 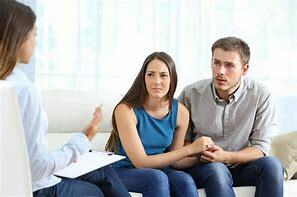 Using attachment theory, we follow the teachings of the book “How We Love” and conduct a fresh and innovative style of couple’s counseling not typically utilized that cuts to the root quickly. We will coach and walk you through the steps necessary to improve your relationship immediately! ​Everyone has a style of attachment whether it be a secure or insecure attachment. Our style of attachment affects everything from our partner selection to how well our relationships progress to, sadly, how they end. That is why recognizing our attachment pattern can help us understand our strengths and vulnerabilities in a relationship. An attachment pattern is established in early childhood attachments and continues to function as a working model for relationships in adulthood and most people are completely unaware of this. This model of attachment influences how each of us reacts to our needs and how we go about getting them met. When there is a secure attachment pattern, a person is confident and self-aware and is able to easily interact with others, meeting both their own and another’s needs. However, when there is an anxious or avoidant attachment pattern, and a person picks a partner who fits with that maladaptive pattern, he or she will most likely be choosing someone who isn’t the ideal choice to make him or her happy. For example, the person with a working model of anxious/preoccupied attachment feels that, in order to get close to someone and have your needs met, you need to be with your partner all the time and get reassurance. To support this perception of reality, they choose someone who is isolated and hard to connect with. The person with a working style of dismissive/avoidant attachment has the tendency to be distant. Because their style is avoidant/dismissive, the way to get your needs met is to act like you don’t have any. He or she then chooses someone who is more possessive or overly demanding of attention. In a sense, we set ourselves up by finding partners that confirm our models. If we grew up with an insecure attachment pattern, we may project or seek to duplicate similar patterns of relating as adults, even when these patterns hurt us and are not in our own self-interest. Sounds illogical but more people do this than you might think. This does not mean that you are doomed! No, not at all. You must just gain more awareness about yourself and your partner, then you will better equipped to respond in a much more effective way!